Muca Organic Highs - Connect with your Cat Chakra ! 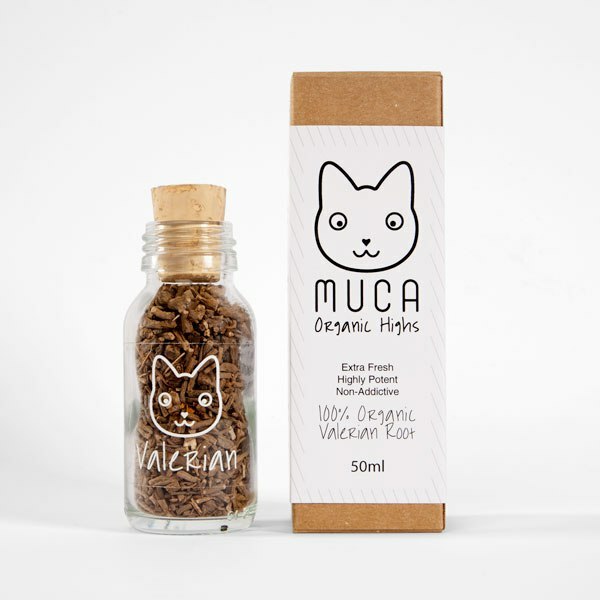 MUCA Organic Highs are purveyors of the finest, most powerful cat ‘erbs found on the planet! 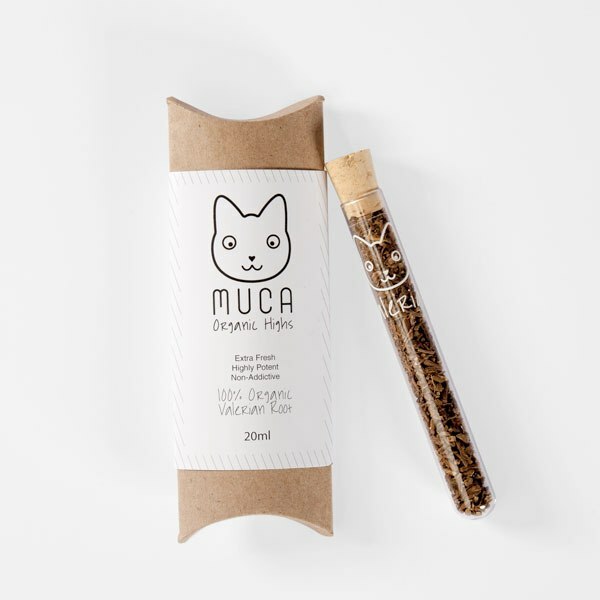 Muca was founded in 2015 by one crazy cat-touting lady with a mission to provide holistic herbal remedies for connoisseur cats and their conscious owners. Muca aims to improve the lives of cats and their relationships with their humans. 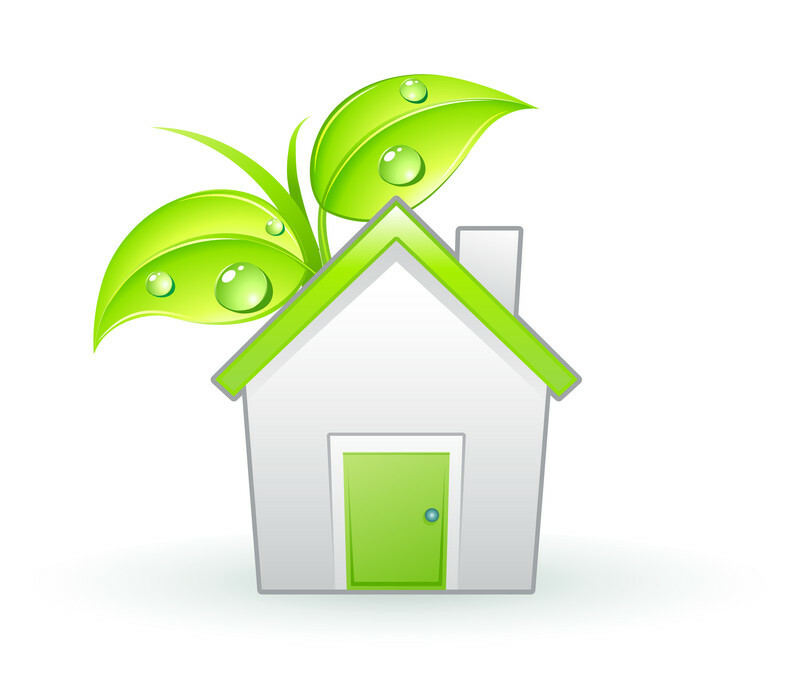 Each herb is grown, harvested and bottled with your cat’s happiness at heart. 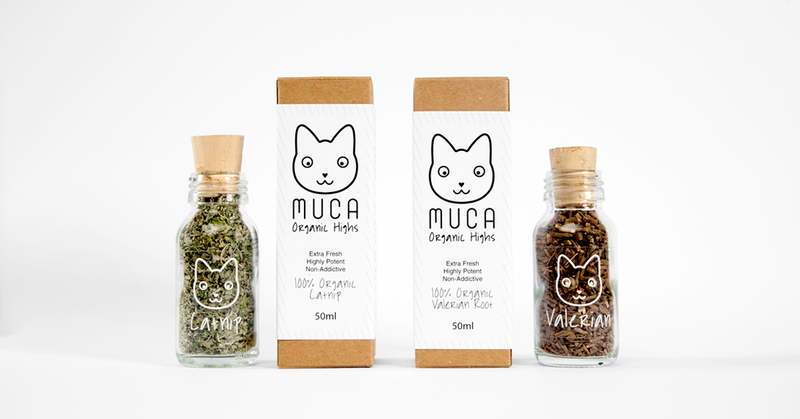 All Muca’s herbs are grown without the use of herbicides, pesticides or GMO crops for safer feline adventures. Our Catnip and Valerian Root are organically farmed while the rare Silvervine is wild-harvested from the mountains of Japan. 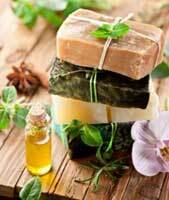 Our herbs are seasonally harvested and bottled by hand in little batches to ensure copious purrs with every sprinkle! 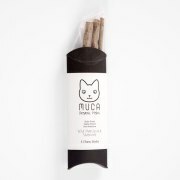 Each jar of Muca comes packaged in luxury paw-proof, light-proof and planet-friendly packaging. Each herb has distinct super natural benefits- from a boost of energy to a calm state of Zen, there’s a herb to suit the unique personality and needs of every feline. 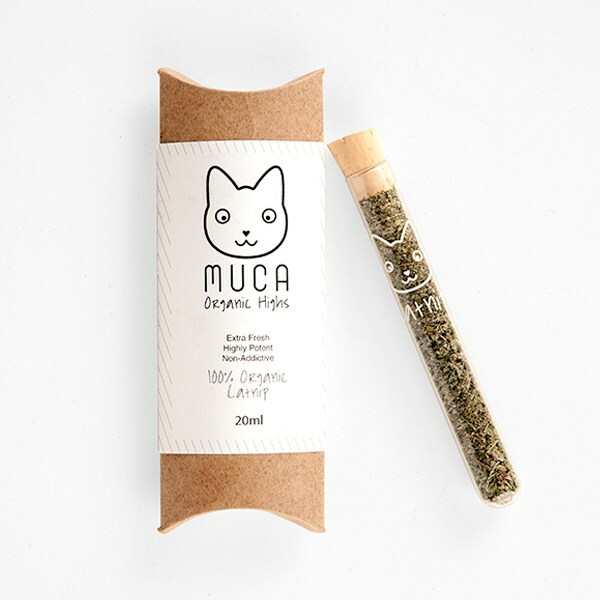 Muca is ideal for cats that are stressed, depressed, anxious, bored or just plain spoilt!